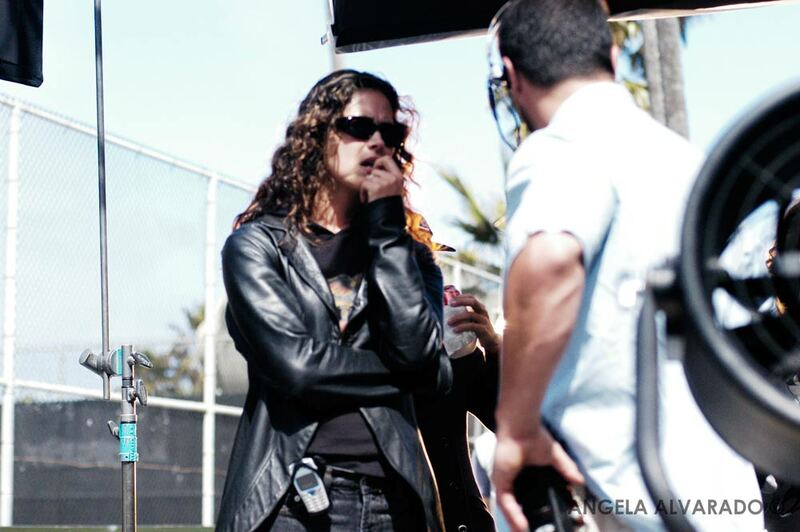 Angela Alvarado is a Grammy Award–winning music video director and photographer born in Puerto Rico and based in Los Angeles. Alvarado first gained recognition as a model and actress in television shows, commercials, and films, working for many years in front of the camera before transitioning to a career behind it. Her experience and comfort level on a variety of sets—coupled with her passion for photography—have paved the way for her to excel at both visual storytelling and creating a relaxed environment where artists can easily express themselves. Over the past two decades, Alvarado has directed critically acclaimed videos for some of the brightest stars in the music industry, including Litzy, Pee Wee, Vivanativa, and singer-songwriter Draco Rosa. Her work has earned top honors such as the Latin Grammy Award for Draco Rosa’s hit single “Más y Más” (Video of the Year) and the Billboard Latin Music Award for the video “Madre Tierra” from Draco’s acclaimed album "Vagabundo". Alvarado has also won music video awards at the LA Femme International Film Festival and the MTV Video Music Awards and numerous nominations. An avid martial artist, Angela holds a second-degree black belt in Taekwondo and Hapkido, with more than 15 years of experience. She also notably attended Arts High School in Newark, N.J., and is currently a board member for the Los Angeles County High School of the Arts.